You’ve probably heard a lot about the future of enterprise networking here in recent weeks and for good reason. Traditional approaches to networking have become obsolete in a cloud-centric, digital-first world. Put another way, businesses need unrivaled agility to meet evolving customer demands and preferences. Unfortunately, the networks companies depend on to deliver new innovations often can’t keep pace. Clearly, it’s time to challenge the status quo of networking, and that includes how wide area networks (WANs) are managed. 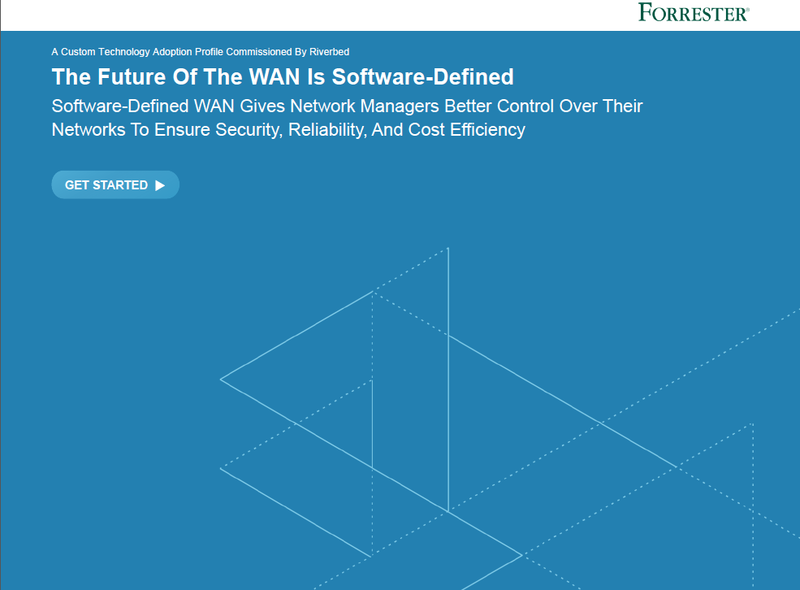 But don’t just take my word for it: read this excellent report from Forrester on why the future of the WAN is software-defined. 1. How the rise of cloud applications, an insatiable demand for bandwidth, and the need to support mobile users are prompting 90% of network managers to rethink their WANs. 2. Why hybrid WANs are becoming increasingly common, but often only exacerbate problems associated with legacy architectures. 3. The top features and capabilities organizations are seeking to help them better manage their WANs and compete in today’s digital economy. 4. Why a software-defined WAN (SD-WAN) is needed to support other top technology priorities. 5. The top benefits network managers expect to realize from adopting SD-WAN solutions. Of course, all of these topics are backed with rich stats and analysis from Forrester. It’s a quick must-read for any networking pro looking for strong insights into the challenges and priorities of their industry peers. Download the Forrester Technology Adoption Profile on SD-WAN. Care for a little primer on what SD-WAN is, first? Read our “Why SD-WAN” FAQ for some additional background. For those of you already exploring alternatives to traditional networking architectures, take a deeper dive into Riverbed SteelConnect, a next-generation SD-WAN solution designed to revolutionize and transform networking in a cloud-centric world. You can experience the power of SteelConnect for yourself, and also learn more by reading the related posts below.